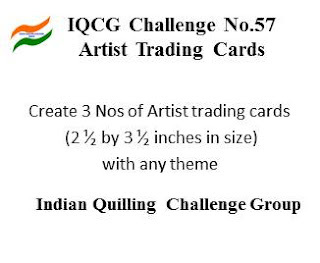 Over to our April Month Quilling Contest / Challenge. 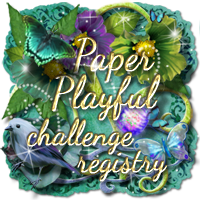 Its always "Anything goes" and for April we would like to see Quilled Roses in your creations. 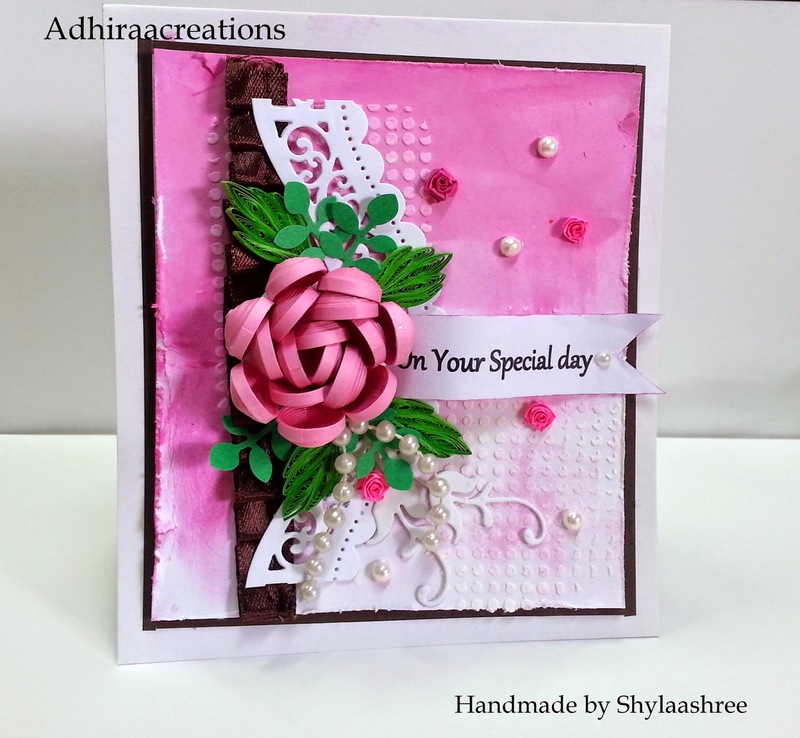 Here is my take on the challenge with a Quilled card with Quilled roses. Distressed background with mixed media layering using textured paste and stencils. Mounted the card with lace, diecuts, quilled leaves, quilled roses, pearls. 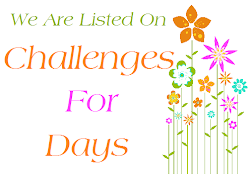 The Entries closes at 06:00pm IST on Thursday, April 30th, 2015. You MUST use a quilled rose in your project. 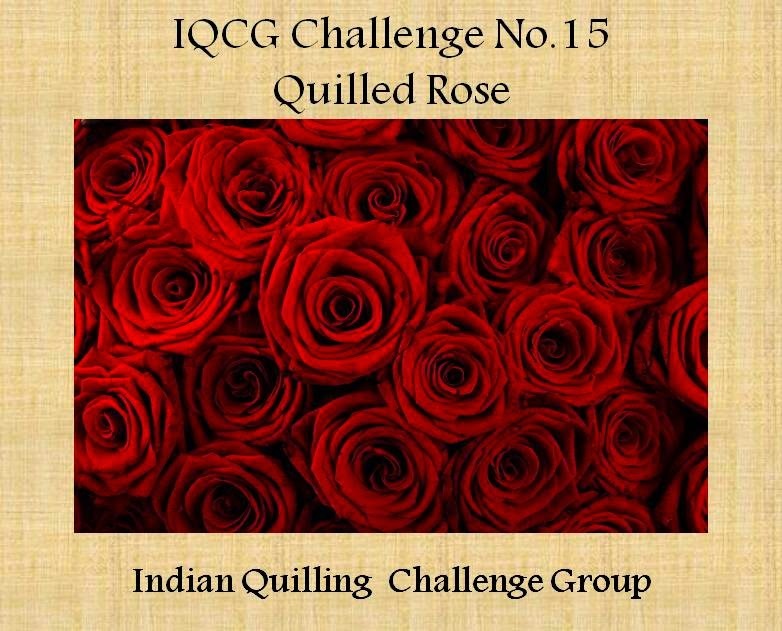 If we cannot see the quilled rose, your project might be removed and not eligible for winning. Awesome card, Shyla. Rose looks beautiful. What I meant was nowhere on this page can I find the name or link of your facebook page or group :) . If its okay ,I can just mail my entry.. its just that the rules listed on the right of this page said you have to be a member of the group in FB, so I thought it was necesssary? 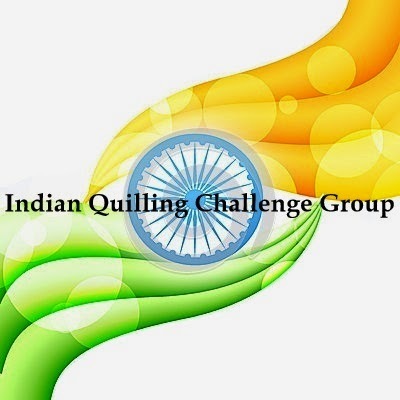 I am not able to send a mail to indianquillingchallenges@gmail.com I am getting a delivery failure message. I have tried to post my roses jewellery set to the album Quilled roses. I am not sure if that is the place to post it.